Global Studies: Contested Fields, One Domain? Advocates of state-centric analysis have actively policed boundaries between the ‘domestic’ and the ‘international,’ asserting states as key actors in international contexts. Both claims were overwhelmed by the disciplinary transformations that came with the study of globalization from the 1980s. This chapter debates these drivers for global studies, outlining the struggle for primacy between state-centric and global approaches. It focuses on debates about the proper or primary units of analysis for the study of international phenomena, and the related ‘levels of analysis’ problem, showing how they were radically reconfigured by the ongoing globalization of social sciences and humanities. 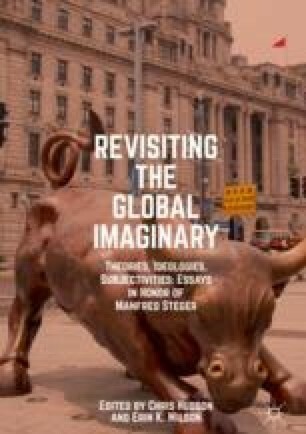 The chapter ends by echoing Manfred Steger’s work, elaborating with some reflections on the importance of interdisciplinarity for the development of global studies. Global Studies Association. 2017a. About the GSA. https://globalstudiesassoc.wordpress.com/about/. Accessed 27 Dec 2017. ———. 2017b. Our Rationale for Founding the GSA. http://www.net4dem.org/mayglobal/mission.html. Accessed 27 Dec 2017.